Speakers in Code: Interview | Local Natives: "I feel that it's a powerful experience when people are connecting to something emotionally." 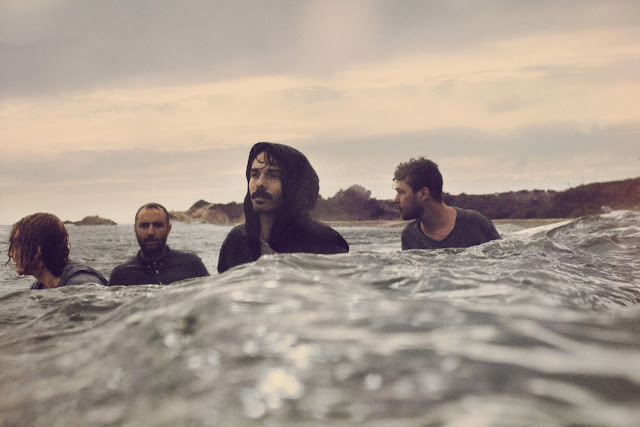 Interview | Local Natives: "I feel that it's a powerful experience when people are connecting to something emotionally." We're now just a day away from the opening of the LouFest gates, and yes, that means the arrival of Local Natives, who will be playing on Sunday from 4:30 to 5:30 on the Bud Light Stage. Their 2013 release, Hummingbird, is a standout for us here at Speakers in Code. Let's have a listen to "Heavy Feet." As we mentioned, you can catch the band on Sunday at LouFest, and one-day and two-passes to the festival are still available for purchase here. Yesterday, we caught up with Ryan Hahn of Local Natives over the phone and chatted about music festivals, songs from Hummingbird, and "Airplanes." Good, thanks. Excited for Local Natives in St. Louis this weekend. I'm not sure if you've played St. Louis before. I know we've driven through a bunch of times, and every time we've driven through, we've said, "Why aren't we stopping? Why aren't we playing here?" I'm excited to finally be doing it. This summer has been non-stop festival season. We really enjoy playing to a big mass of people, and to be part of that atmosphere -- it's definitely exciting as a band to see that. I caught your set at Lollapalooza, and it was just a sea of people, and they were singing, and the vibe was just perfect. What kind of feeling is that from the stage for you? It is pretty incredible. It's interesting, especially, playing different times of the day at a festival. You never really know what time slot you're going to get. We get to play at night, sometimes you get a slot opposite another popular band. Lollapalooza was just a great time of the day, and it felt like a give and take -- you're putting out all this energy, and when everyone is giving it back to you, it's just the perfect experience. Yeah, and I hadn't seen you before that. 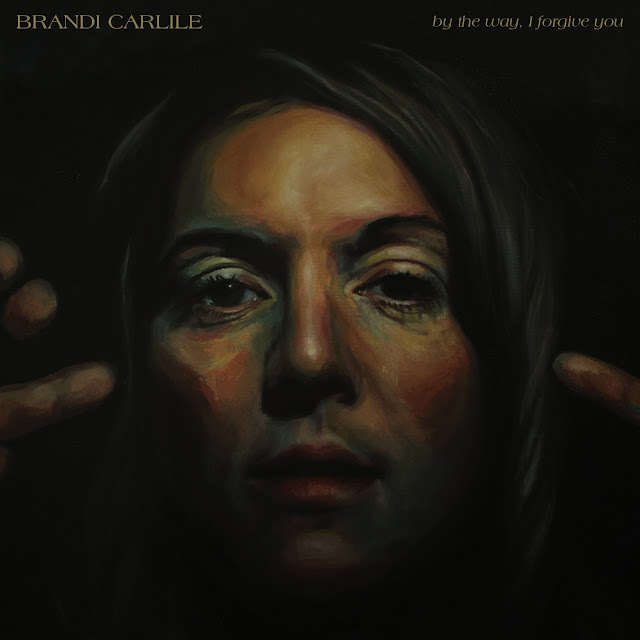 Your new album, Hummingbird, it seems more personal to me than Gorilla Manor, and I was wondering how that would play to a huge audience, but people really connected. I think that if people can connect to the music, then they feel part of it, and it feels like this community of everyone working together to make that experience happen. Whereas, I'm sure it's a lot easier to throw a dance beat over it, and get people moving. But, I feel that it's a powerful experience when people are connecting to something emotionally. We just do what we do, and hopefully it connects at a festival. Well, let's talk about Hummingbird, and the first two songs, "You & I" and "Heavy Feet." It's like a great one-two punch to begin an album, and it really drew me in. You're really throwing a lot out there right away. Can you talk about those two songs and what they mean to you? Sure. I think "You & I," especially, for us it was a bold choice to start the record because it starts with a synthesizer, and it opens up with Kelcey's big vocal. And it's mainly just Kelcey in that song, vocally. I don't know; we kind of felt like it was a nice left turn. When we were writing the album, writing that song was the pivoting point for everything -- writing that song gave us a lot of momentum for the rest of the album. And we'll also start a lot of shows with that song, because it has a nice build to it. And then "Heavy Feet," that was one that came together relatively quickly for us, and it's a song that we can really stand behind and relate to on a personal level. I'm stoked to hear that you're in to those first two songs. And then there's a song like "Three Months." It's just so . . . spare and dark and deep. What about that one? That song, lyrically, is about something very heavy. Kelcey wrote that about the time his mother passed away, so it was this really heavy time, obviously for him, but for all the band members. I think writing that song was a really helpful tool for Kelcey to cope with everything. And that song had a few different arrangements, a few different versions -- we couldn't really decide on how to present it. And finally, what ended up helping everything was this drum beat that was made out of sampled drums, so it wasn't a real drum set. And I just kind of took some samples that I had been working on and pieced them into that drum beat. We had never done anything like that before, but Kelcey and I just kind of stayed up late piecing this song together in this weird, choppy way. And whenever we perform it live, which we don't get to do very often -- on this tour, I think we're going to -- it really does have a nice effect on the mood in the room. People quiet down, and it has this trance-like thing about it. The lines are "Am I giving enough? Am I loving enough?" Yes! Thank you. I think the spirit of those two songs is just a really important piece of the album. Would you agree? I definitely do. You know, we all vote on stuff, and we all talk about stuff as a band, and I think there was some hesitation about offering up too much emotionally and personally with those songs being on the album. But, that was one of the choices we made -- we wanted to dig deeper and be a lot more direct and up front with the lyrical content and emotional content, and those two songs are kind of like tent poles for the album. I do agree that they're very important. I enjoy that aspect. And I also like hearing a song live like "Airplanes" from Gorilla Manor. It's always funny, because you never know when you're working on a recording -- you never know if it's going to become one of the more popular ones. That almost didn't make our first record. So, looking back it's crazy, but you're right, for us -- for a band that doesn't really have singles, that has kind of become one of the ones that people can sing along to and have fun with. I don't think we've done a show where we haven't played it. Even if the show is not going well, we can always enjoy when we hear people singing back to us, and that song seems to be one of the ones where that happens. Local Natives play LouFest in St. Louis on Sunday at 4:30. You can purchase tickets to the festival here.